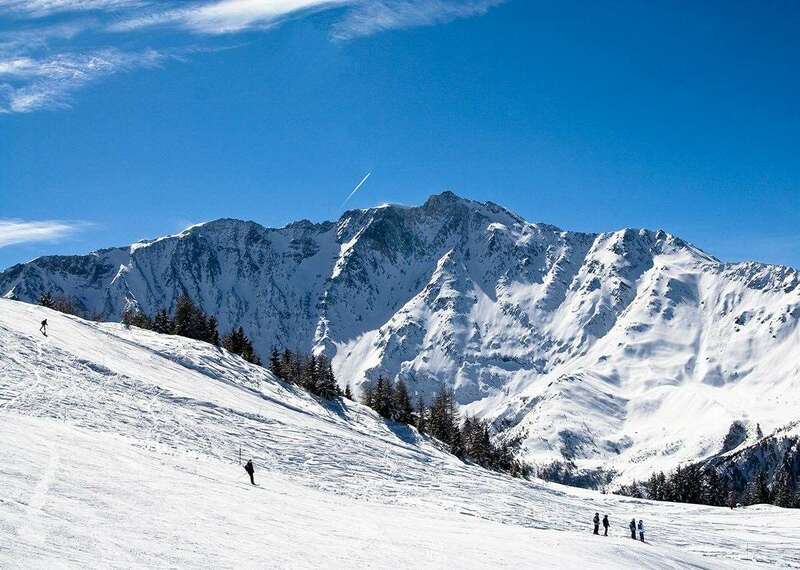 These apartments offer a very high standard of accommodation at the foot of the slopes in Vallandry, a pretty, unspoilt village on the edge of the Les Arcs ski area, and the closest resort to the Paradiski cable car. 106 apartments - All apartments have a fully equipped kitchenette with microwave and electric oven, 4 hotplates, fridge, electric coffee maker, and dishwasher, TV and balcony. Type C apartments - sleep 2-4: Living/dining area with one pull-out sofa beds, separate bedroom with two single beds. Bathroom with heated towel rail and hairdryer, WC (separate or in the bathroom). Type E apartments - sleep 2-6: Living/dining area with two pull-out sofa beds, separate bedroom with double bed and separate twin bedroom. Bathroom, shower in some apartments, separate WC. Type E1 apartments - sleep 2-6: As Type E with a cabin room with two bunk beds instead of a separate twin bedroom. Type G apartments - sleep 2-8: As Type E with an extra twin bedded room. Type G1 apartments - sleep 2-8: As Type G but on two levels. Type G2 apartments - sleep 2-8: As Type G but with a cabin room with two bunk beds. Type I apartments - sleep 2-10: As Type E with one extra twin and one extra double bedroom and an extra WC.